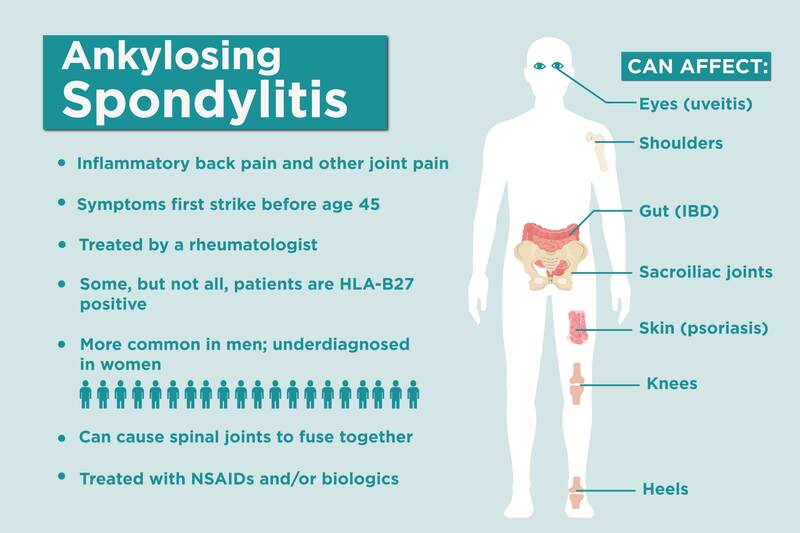 Most people haven’t heard of ankylosing spondylitis (AS), a type of inflammatory arthritis that primarily affects the spinal joints, causing often crippling back pain. 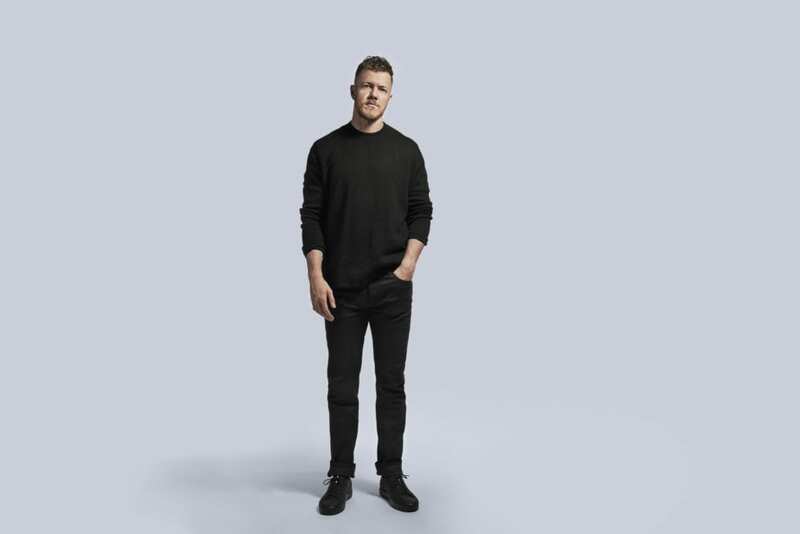 But that will change if Dan Reynolds, the lead singer of the Grammy Award-winning band Imagine Dragons, has his way. It’s not known what triggers the inflammation that causes AS. While there is a genetic marker for AS, simply having the HLA-B27 gene doesn’t seem to be enough to determine who gets the disease. Family history is a risk factor for developing the disease, and Reynold’s family is no stranger to AS: Five out of his nine siblings (including him) are living with AS. Awareness is key because early diagnosis is especially important with a disease like AS. Over time, the chronic inflammation (spondylitis) that can cause pain and stiffness in and around the spine can lead to a complete cementing together of the vertebrae, a process known as ankylosis. This fusion can lead to loss of mobility of the spine. Reynold’s brother, who serves as his manager, suffered this fate. “That’s why AS is such a scary thing and it’s really important that it becomes mainstream,” says Reynolds. Read more about AS symptoms and signs that your back pain could be inflammatory here. Though Reynolds thinks he had some AS symptoms in high school, the disease really took hold in 2012, just as he and his wife were having their first child — and the pain in his hips, he says, kept him from tending to their daughter. “It felt like someone was drilling into my hips all the time — it’s like that really intense heat pain you feel when you go to the dentist and they hit a nerve,” he says. That type of hip pain, a hallmark feature of AS, is due to the involvement of the sacroiliac (SI) joints, which are located at the base of the spine, where the spine meets the pelvis. Reynolds’ pain was particularly intense at night, something that’s common with AS and another key sign you may have the disease. When you’re still for too long, such as during sleep or sitting for a while, inflammatory chemicals accumulate in your joints, exacerbating pain and stiffness. Reynolds saw at least 10 doctors, had MRI after MRI, tried a slew of medications, and got many misdiagnoses. This is astounding, considering that Reynolds had such a strong family history of AS, but such diagnosis delays are a fact that many people in the CreakyJoints community can relate to firsthand. Of course, Imagine Dragons went on to get signed and become one of the country’s most popular rock bands. Reynolds, who’s also been diagnosed with ulcerative colitis, an autoimmune disease that causes GI symptoms and also commonly occurs in those with AS, first decided to use his platform to get the word out about AS four years ago, when he told his story to 13,000 fans attending a concert in England. “Tonight, I’m just going to share this because there’s probably other people out there who suffer with it, too,” he told the crowd. Indeed, though it’s estimated that 2.7 million people in the U.S. have AS or related conditions, because they’re underdiagnosed, that number may be even higher. AS is more common in Caucasians and affects more men than women, though women are majorly underdiagnosed with AS. AS pain and other symptoms usually first strike before age 45. Reynolds currently has “low disease activity,” and says he feels great. He still has AS flare-ups throughout the year that last a couple of weeks, but it’s nothing like it was before he was diagnosed. That, he says, was like a constant flare. To keep his disease at bay and prevent complications, he works out every day, does yoga, and eats “super boring clean.” Treatment needs to be individualized, though, which is why it’s important to see a rheumatologist if you suspect you could have AS. The people he’s met in the AS community are very determined as well, he says. 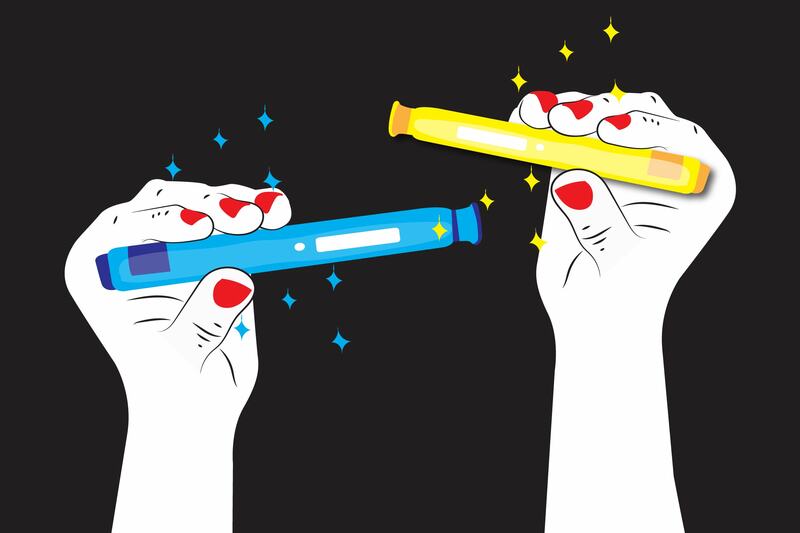 “Even though we don’t have a cure, we have the ability for people to live a full healthy life with a very serious autoimmune disease.” To help reach the hundreds of thousands, if not millions, of people who have AS but still don’t know it, Reynolds is thrilled with the “cheeky” monster campaign. “People need this, they really do,” he says. “It’s Time,” the title of the band’s breakthrough single, seems to sum it up rather nicely. AS or Fibromyalgia: Could You Be Misdiagnosed?